The Chief Administrative Officer is responsible for providing overall direction to all City staff to ensure that Council‘s priorities and directions are carried out efficiently. The CAO co-ordinates the budget process, acts as Council's representative in labour negotiations, and is called upon to provide management advice to Council. Administration staff, under the direction of the Corporate Officer, provide administrative support to the Mayor and Council as well as committees and city directors. They also provide excellent customer service by responding to public inquiries, preparing reports, maintaining files and records and managing Council elections. Colwood staff are members of the Canadian Union of Public Employees Local 374. The Finance Department is responsible for long-term financial planning, annual budget development, investment management, general accounting and all statutory financial reporting. They oversee the collection and distribution of property taxes through the annual budget process, They are also responsible for insurance, risk management and the City’s employee payroll for approximately 70 full-time, part-time and casual employees. The Long Range Planning & Sustainability Department ensures that municipal goals are reflected in planning policy documents within the municipality. The Department has an important role in providing Council with professional and technical advice on current and future land uses, and a wide range of issues including housing, heritage, environment, transportation, and social policy. The Development Services Department ensures that new development land uses reflect the goals of the community and the best interests of the public.. The department is guided by the Official Community Plan and Zoning Bylaw, and ensures that projects are consistent with all City bylaws and policies. The Engineering Department provides guidance, design, analysis and administration of city infrastructure, including roads, water, sewers, drains, street and traffic lights to ensure existing needs as well as future requirements are met. Read more about Engineering and Public Works. The Building Department works to protect people and property by ensuring that newly constructed and renovated buildings conform to codes and regulations. They provide permits, inspection services and advice on the City of Colwood Building Bylaw, BC Building Code and Land Use Bylaw issues. Read more about Building Permits and Inspections. 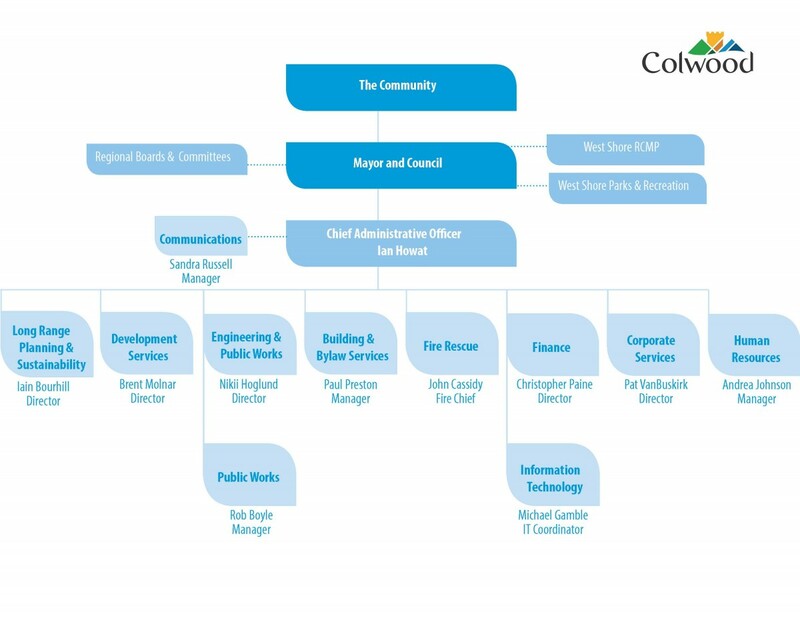 Colwood is well served by 40 dedicated and experienced fire fighters who provides key public safety services, including Emergency Fire Rescue Response, Fire Prevention Education, Fire Safety Inspections, Firefighter Training, Fleet Maintenance and Administration. Read more about Colwood Fire Rescue. Bylaw Officers protect the safety and quality of life of residents by handling and investigating complaints, monitoring issues and working with individuals to encourage voluntary compliance through education and mediation. When enforcement is required, Bylaw Officers are authorized to issue municipal tickets and fines or seek legal recourse. Read more about Bylaw Services.